Two decades ago, Larry Garcia was faced with an impossible choice. While Garcia had the skills to commit the crime, he knew the price: his previous incarcerations had left his two older children feeling they could not count on him as a father. Whether in the home or at a business, accessing social services or exiting jail, fathers across Los Angeles County are faced each day with stigmas and barriers that affect their ability to support and connect with their young children. For kids, experiencing this lack of fatherhood connection can lead to lower grades in school, greater risk of abuse and neglect, reduced financial support and increased risk of incarceration. In a three-pronged effort, First 5 LA’s Engaging Fathers Initiative is seeking solutions to this issue by supporting innovative training, websites, conferences and citywide initiatives to improve service delivery and create policy change within systems that regularly engage with fathers of children prenatal to age 5 in L.A. County. A wealth of research supports how father absence harms and father involvement benefits a child’s life. But how can fathers be more present in their child’s life? In First 5 LA’s own research, findings from a First 5 LA-commissioned study and focus group revealed the need to reduce structural and policy barriers to father involvement. To accomplish this, First 5 LA has provided nearly $600,000 in funding over two years to three innovative father engagement projects (and one technical assistance provider) that 1) seek to transform an entire city to become father friendly, 2) train child welfare social workers to better engage fathers and 3) advance systems change to improve practices that enhance the parenting practices of formerly incarcerated fathers re-entering society. A father’s rant recently went viral about having to change his baby daughter’s diaper on a “disgusting” men’s room floor — in a kid-friendly business with an indoor playground, no less — because the only changing table was in the women’s restroom. Not from the City of Long Beach, Chris. 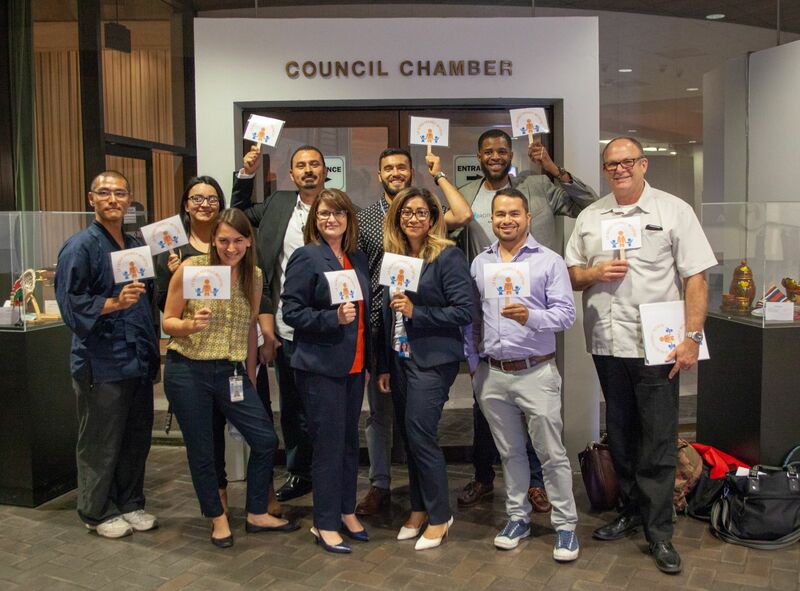 As part of the Father-Friendly Long Beach campaign created in partnership with First 5 LA and operated by the City of Long Beach Department of Health and Human Services, the Long Beach City Council voted unanimously on June 19 to require that all city facilities be equipped with baby changing stations available to both men and women. 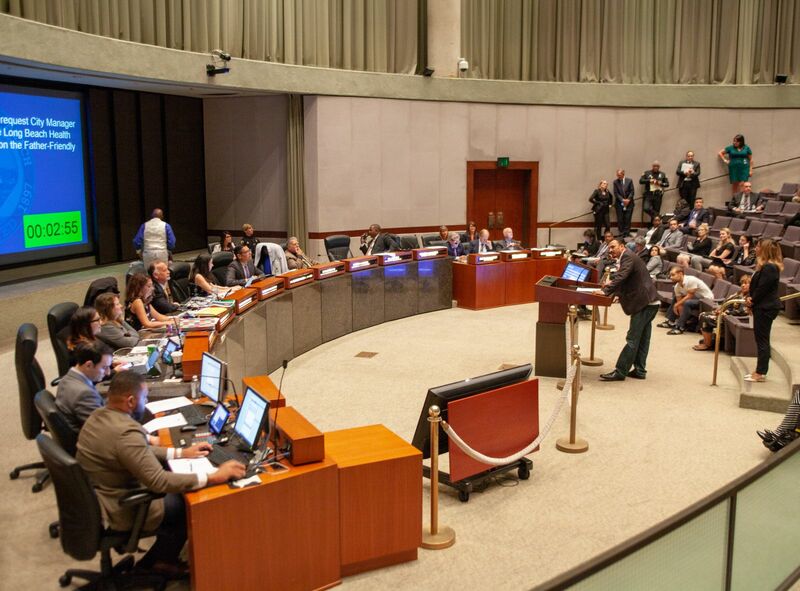 The city council’s action follows the launch of a father-friendly website and social media campaign, both of which debuted in February to great success. The social media platform alone has reached more than 200,000 people by providing a space for fathers to share their stories, pictures and love for fatherhood. City officials are optimistic for the future of the Father Friendly Long Beach Campaign, which First 5 LA will continue to fund to the end of the year. When Mr. M (name changed for anonymity) found out in February that three of his young children had been detained by the Los Angeles County Department of Children and Family Services (DCFS) after his ex-wife was jailed, he insisted that his children come to live with him. But even though he was a father living with six other children under his own roof, with no history of child abuse, neglect or crimes of any kind, he was told that he would have to take parenting classes in order to receive his children. In other words, he needed to prove he was capable of taking care of his children. In the meantime, his three frightened young children were sent to three different foster homes pending the completion of his parenting classes. So Mr. M turned to Project Fatherhood. Project Fatherhood Director Alan-Michael Graves responded immediately, asking DCFS why a non-offending parent needed to prove he was “capable” of parenting his children. Through the work and relationships forged as a result of First 5 LA’s funding, Graves set up a meeting with DCFS. It was there that he challenged the department’s policy, noting that if the roles were reversed and the father was incarcerated, custody of the children would have been immediately granted to the mother. As a result of Project Fatherhood and CII’s involvement, Mr. M was granted custody of his three children. 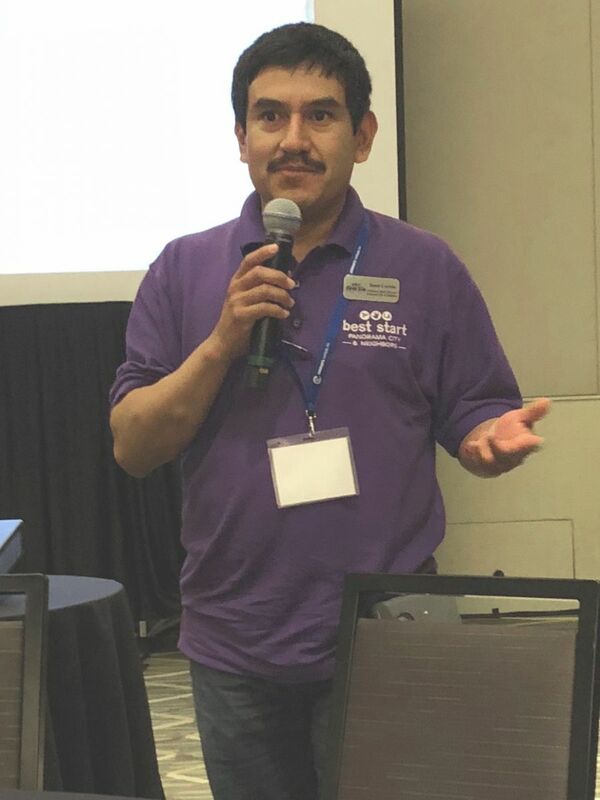 Mr. M’s story represents the challenges fathers face engaging with systems like DCFS, courts and other social services where stigmas about men as parents may be interwoven into policies or the preconceptions of caseworkers and other staff. As part of First 5 LA’s funding, Project Fatherhood is working with all 18 DCFS regional offices to conduct staff training on how to better engage and work with fathers. “When I had the opportunity to attend I jumped at it,” said Emilie Wagar, the regional lead parent partner in the DCFS Palmdale office. “The most profound thing I learned and continue to carry with me through my work is EMPATHY. I don’t care if you have a Phd or you work at Micky D’s we have all been impacted and influenced by our fathers in some form or fashion, and many of the fathers we see entering the child welfare system haven’t healed from their own traumas. The training has helped to create a ripple effect, said Pastor Tommy L. Brown, a children’s social worker with DCFS in Compton. He has participated in two trainings with Project Fatherhood, which he said has helped him help fathers in the community. He learned in the training that it was okay to share personal feelings with other fathers, who are often afraid of coming forward with their own feelings for fear of being persecuted. “When I share with them, they open up, hold their heads up high and begin to share,’“ Brown said. Brown encourages fathers to be involved with their significant others, spend quality time with their children and – most importantly – to spread that message to other fathers in their community. 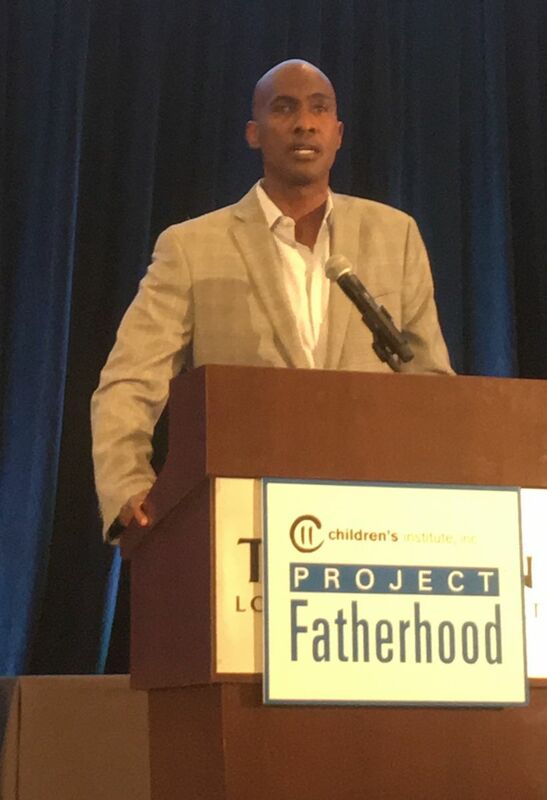 Nowhere was the light shining brighter than at Project Fatherhood’s 11th Annual Fatherhood Solutions Conference on June 15, co-sponsored by First 5 LA and attended by more than 600 service providers, child advocates, non-profit agencies, educators, mothers and, of course, fathers. Some of the workshop topics included early childhood focus on being present and engaging family, helping fathers build resiliency, child custody, the impact of racial and implicit bias and the need to change policy to further work in the fatherhood movement (in which First 5 LA’s investments were profiled). Cultural differences in how fathers engage with their children were also addressed, a topic that shined brightly in the mind of Denis Lucena, a member of the First 5 LA-funded Panorama City & Neighbors Best Start Community Partnership who came to the conference to learn more about engaging with his own daughters and helping the children in his community. 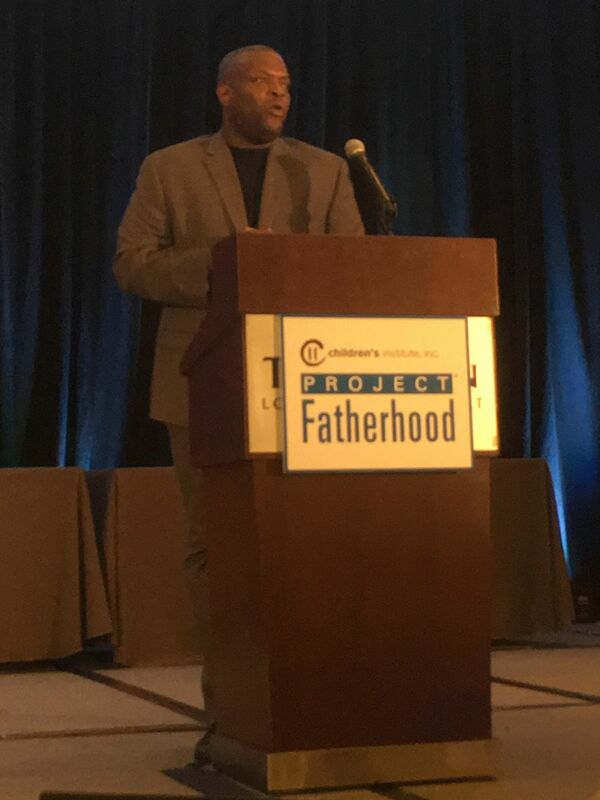 One of the most powerful moments of the conference came in a speech on why fathers matter by Dr. Tyrone Howard, Founder of UCLA’s Black Male Institute. “What frustrates me is that a lot of men are doing the best they can as fathers and are seen as a problem when they are trying to be part of the solution,” Howard said. For males of color, he said, being seen as a problem begins in preschool. Black and Latino boys represent 20 percent of preschool enrollment but 62 percent of students suspended once and 68 percent of students suspended twice. As fathers, Howard said, education is critical to their ability to care for their families. Yet if 100 white, 100 Latino and 100 African American children start kindergarten at the same time, only 67 African American and 76 Latinos graduate high school, compared to 86 white students. “Much of what we expect men to do is that they must provide, but it is hard to provide in this city if you don’t have a high school diploma,” Howard said. And it’s not just education. The problem spreads throughout systems and communities. For young African American and Latino boys in the foster care system, if they reach the age of 5 and are not adopted, the likelihood is that they will never be. Those living in neighborhoods plagued by violence or poverty are more likely to be affected by trauma, depression and a higher suicide rate. While he did not offer answers to all of these problems, Howard said the need for solutions is clear. When we left Larry Garcia at the beginning of this article, he was struggling to find a job and pay for diapers with a criminal record. Fast forward to today, where in his work with Friends Outside Los Angeles (FOLA) he’s helping other fathers who want to engage with their children after their incarceration. Garcia speaks from experience. His several trips in and out of county jail and the state penitentiary for various crimes ultimately broke apart his family. Each one of his four children experienced a point where he was incarcerated, making it hard to connect with them and build their trust after each release. Fortunately, Garcia found FOLA, which assists children and families, prisoners, and former prisoners with the immediate and long term effects of incarceration. Programs include Dads Back!, which offers classes on parenting, job readiness, healthy relationships and more. “Through their classes, I’ve learned how to be more mature and responsible and to be able to reach my long term goals and to give back to the community,” said Garcia, who spreads the word about FOLA and its classes at churches, supermarkets, social service agencies and “wherever there are guys who are really in need of such programs.”. As a First 5 LA grantee in the Engaging Fathers Initiative, FOLA is working to build knowledge to inform and advance systems change, policies and practices at the agency/service provider level and to increase collaboration and partnerships among organizations working on engaging re-entry fathers. This includes presenting findings from focus groups and surveys at a summit coming this fall. Yet for all he has lost, Garcia has gained hope of becoming a better family man. While he is proud of his accomplishments going back to school to get his GED and pursuing a career in carpentry, he said that he is now once again developing relationships with his children – and grandchildren – after two decades of separation. First, his daughter – the one who needed diapers – needed help once again. At age 22, he said, she had taken on a lot of the characteristics that Garcia had as an alcoholic. He started talking to her about the 12 steps. As a result, she got herself back in school. And she called him to say she loves him. Then, about a month ago, Garcia ran into his oldest son, now 28, and his 3-year-old daughter in a local park.